Yeah, you can get tokens for heroes you didn't unlock. 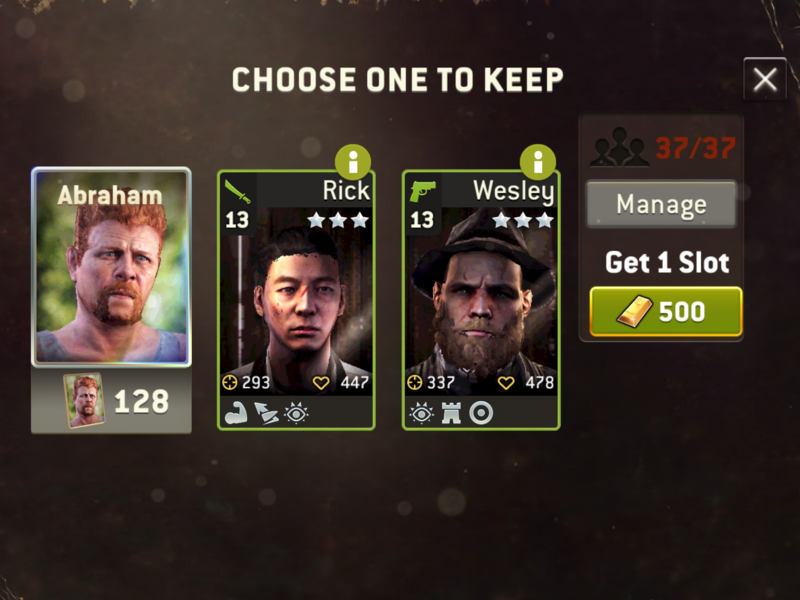 I bought abraham in the TG-shop mostly. 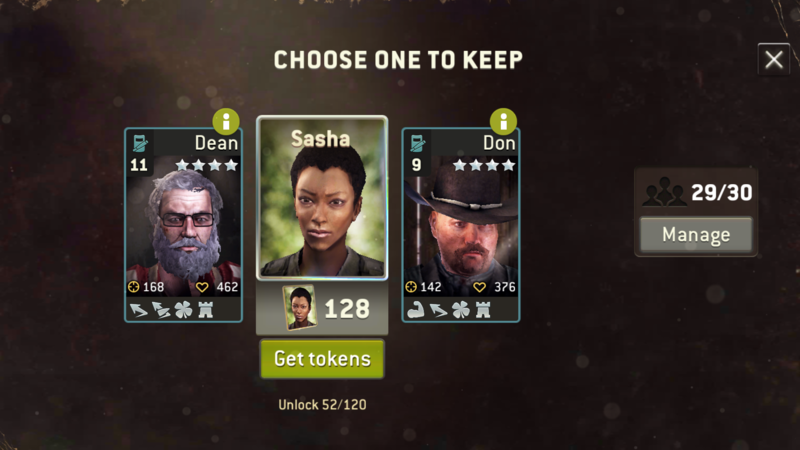 I think I bought michonne tokens once, but not sure. I think they are just to rare, most people will probably never see them in their shop. Not true - you can get tokens for heroes you haven't unlocked yet. I also got Carol tokens today and haven't unlocked her yet. Same for Michonne but that was quite some time ago. I think some hero tokens are very rare. I think I had Carol tokens about 3 times, Michonne twice, Carl maybe once (I'm not even sure), Morgan twice or maybe 3 times... I also next to never see Rick and it hasn't changed since I've unlocked him. It's very strange for me,like this week I had Carol tokens a few times and I rarely got her in shop before.Mine are Glenn or Jesus offerings way more than the others.No Michonne or Coral tokens that I remember. Weirdly, I've had Carol twice in the last 3 days but I'd never had her before that. Same thing happened to me. Not got her unlocked either and had her tokens appear twice in the last 3 days. Who is Carl and Michonne? I think I will be able to unlock them in about 2 years from now. There is only one way out, you must praise the RNG god. Here is Sasha delivered by two lucky bodyguards. 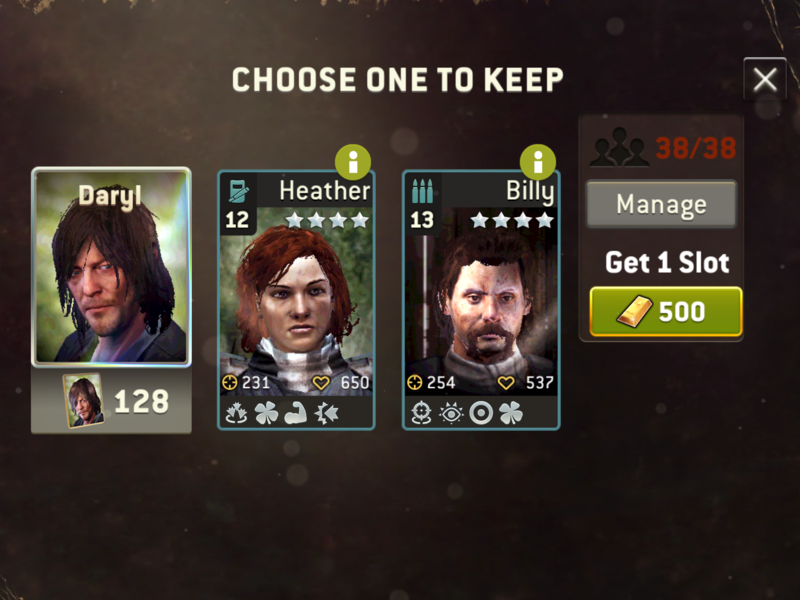 I can confirm that I've never got Carl, Sasha or Michonne tokens on the shop... and I'm not sure about Negan either. I got Carol tokens just a couple of days ago. I've never paid attention to the TG shop, as I feel the number of tokens doesn't match the price paid. I can confirm tho, anyone who says they unlocked Carl or Michonne are either creators or affiliated with NG, as I've never seen so much as a 2 token call reward for either of them; only time I received any tokens for either of them was for season 7 mission rewards. Why create a hero if you wont make them available to everyone? Can't find Maggie there either. And now I just got Dwight tokens from the shop. Regarding Maggie, I have got tokens a couple of times. With so many Hero classes now, it would help if the trade good store offered more than just 4 Hero tokens for a random character every 7 hours. What if they opened up more slots to buy hero tokens every cycle? I've gotten lots of Sasha's. My shop usually offers Glenn and Carol the most lately,occasionally there are Abe or Maggie tokens too. All I have left is carl, have not seen his tokens since his week however long ago that was, just recently unlocked michonne which being this week warrior week she's pretty badass . What I wanna know is where's the Kings tokens at? Certainly aint many in the special call..
Furthermore,when we had Negan week we had 4 tokens option for him in the shop basically all week. @bigbeano got 32 recently (zeke tokens) and @raton luck surely runs out when you're on the verge of unlocking someone in particular! I suggest you forget for a while that you really need to unlock Sasha and BOOM! 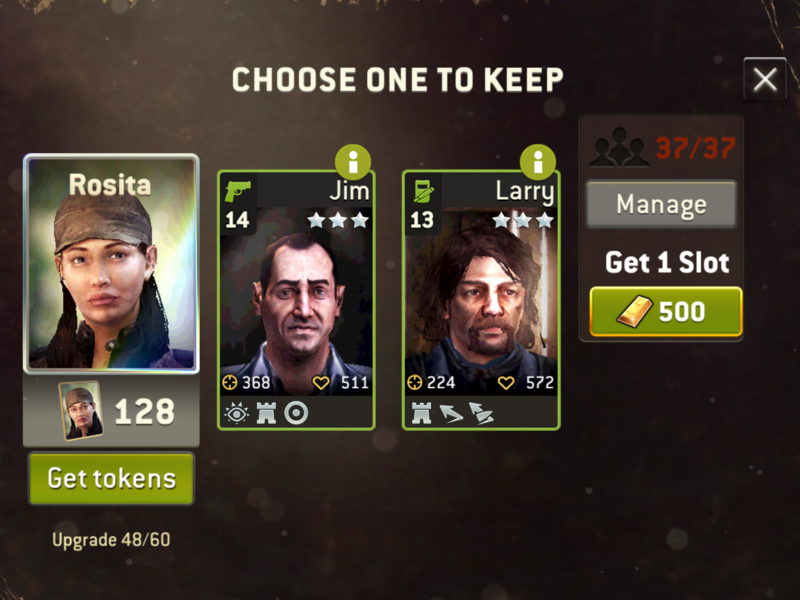 A 15 call in the near future will surely give you enough tokens to unlock her! Unless you are looking for hero tokens for 4 or less, better to do 15 calls.